At our Stomatology and Oral Health Department, we provide customized, highest quality care to our adult and pediatric patients dealing with diseases or disorders of the mouth. 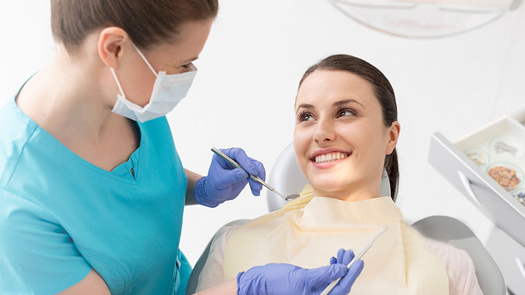 Cosmetic dentistry including veneers, crowns, bridges, inlays, as well as tooth whitening. Treatment of dental cavities utilizing state-of-the-art technology such as composite resin fillings. Periodontal (gums or gingiva) treatment such as scaling and root planing surgery with and without periodontal flaps. Children’s dentistry including preventive treatment. Prevention and correction of malocclusion (irregular or crooked teeth) using fixed braces and removable appliances. Trauma including facial injuries such as lacerations and fractures of the teeth and jaws. Temporo-mandibular joint disorders including pain, limited mouth opening etc. Dental implants with and without bone graft. Cysts and growths of the face and jaws. Oral conditions including mouth ulcers, salivary gland disease etc.